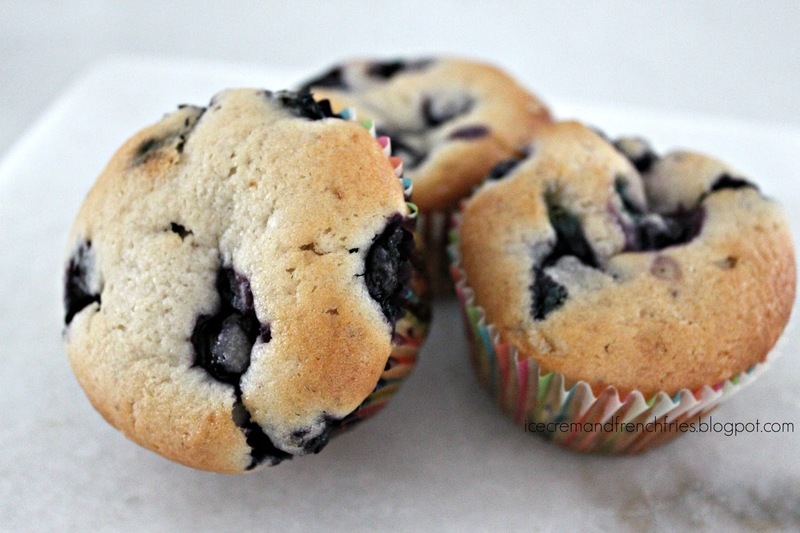 Happy Healthy Home: Blueberry Muffins + Hamilton Beach Mixer Giveaway! 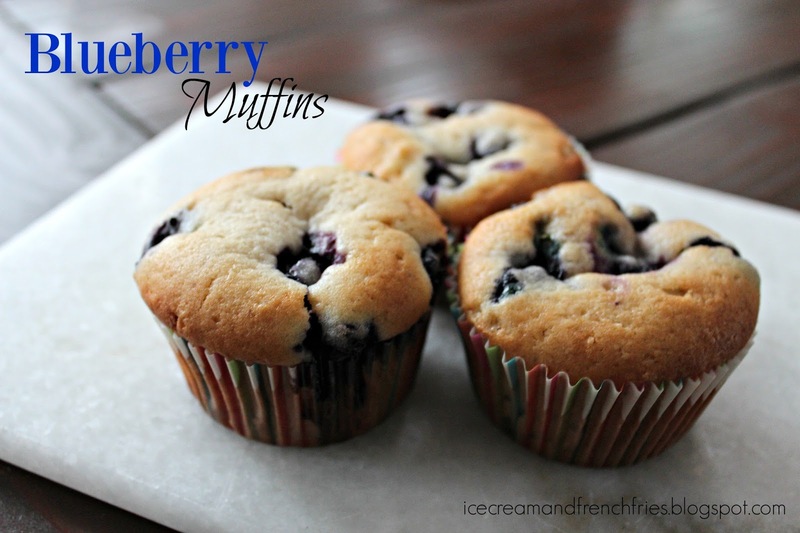 Blueberry Muffins + Hamilton Beach Mixer Giveaway! Let's cut to the chase. Every one is making resolutions and probably more than 50% are fitness related. I'm not any different. I let myself go a little over the Holidays, but I'm back on track. One thing I'm trying to focus on is meal planning and prepping. I'm more likely to stay on track if I have a plan and a fridge full on healthy meals and snacks. Although, precooked and prepped meals and snacks are easy I prefer to make everything myself. That way I know what's in it. This week I prepped a few different things like chopped veggies, steel cut oats, and muffins for the hubby and Emerson. I think Emerson preferred the Blueberry Muffins over her Toddler [Spinach, Carrot and Banana] Muffins. There's one key kitchen gadget to making tasty muffins -- a mixer. If you're a big baker you'll want a stand mixer, but if you're a beginner cook a hand mixer will do. Or if you're like me you need and use both! 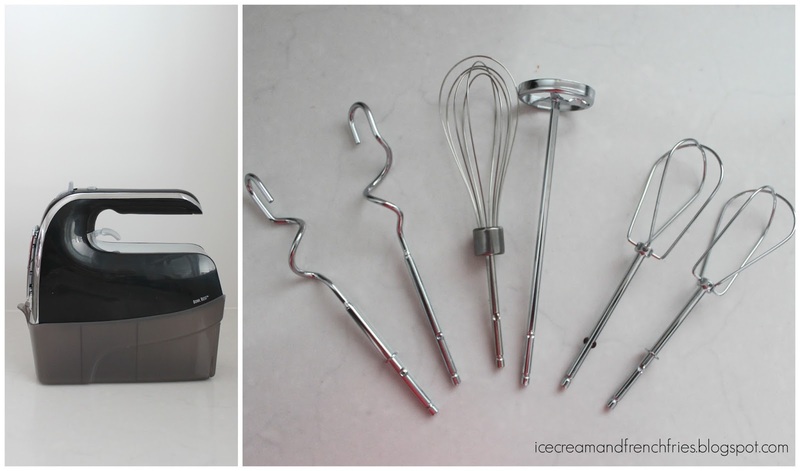 Sometimes you just don't need a big stand mixer to get the job done. When I first picked up the box I thought "wow, this is so light." Then immediate wasn't sure if it would be heavy duty like my other very popular stand mixer [cough, cough Kitchen Aid]. Here's the thing -- surprisingly it was! Over the last month I've been using this stand mixer for all my baking needs. Cookies, muffins, pizza dough you name it I might have made it. It mixes ingredients well and the bowl only needs minimal scraping. 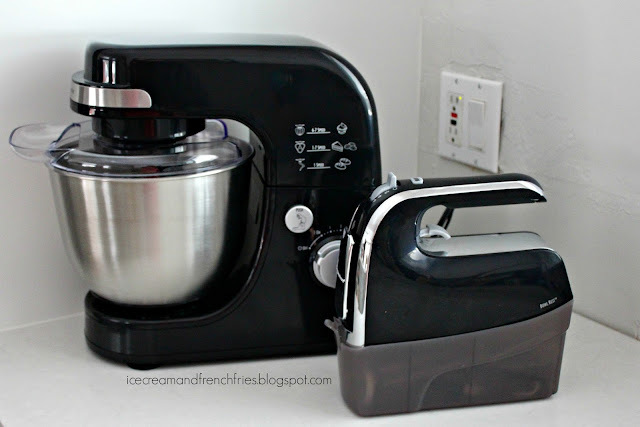 Hamilton Beach makes baking a no brainer with the cheat sheet on the side of the mixer. This is helpful if you're not sure what attachment or speed to use! Another feature I love is the non-slip suction feet! 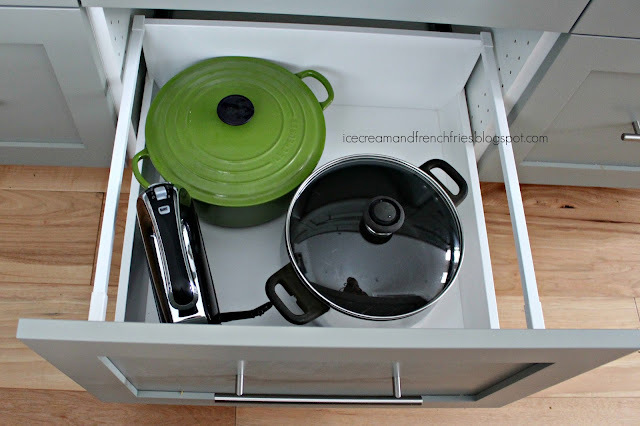 Because it is so light you one, don't have to worry about breaking your back lifting it and two, know it's securely attached to the counter if you walk away for a second or two. Moms you know what I'm talking about. Oh, I can't forget about the price -- it's only $109.99!! My husband loves that it's dishwasher safe! This was a nice upgrade from my old Hamilton Beach hand mixer. I'm loving all the different attachments, power and of course the pulse option! Plus, you can't beat the snap on storage case making it extremely easy to store while keeping everything in one place. Whether you whipping up a batch of brownies or blending mashed potatoes this bad boy it key. At $34.99 it would make a nice housewarming gift. My brother just moved into a new place guess what I gave him?! This hand mixer. Now for some deliciousness I whipped up for breakfast this week, Blueberry Muffins! Preheat oven to 375ºF. Place 12 muffin liners in cupcake pan. Using a mixer, combine sugar, egg, oil, milk, and vanilla. Mix until well combined. Add the flour, baking powder and salt. Don’t worry about getting another bowl just add the dry ingredients right on top of the wet ingredients. Mix until smooth. Add greek yogurt and mix until combine. Fold in the blueberries. Evenly distribute the batter in the muffin tin. Sprinkle the tops with the 1 tablespoon of sugar. Bake for about 30 minutes. As part of my review, Hamilton Beach is kindly offering two lucky readers either a 6 Speed Hand Mixer with Pulse and Snap-On Case [$34.99] or Stand Mixer [$109.99]! Prize: (1) Hamilton Beach 6 Speed Hand Mixer with Pulse and Snap-On Case and (1) Hamilton Beach Stand Mixer. Please note, only entries via Rafflecopter will be eligible to win. I would make cherry muffins - my daughter made some this morning, and they were great! Yes, please. They sound right up my alley! Fingers crossed!!! All things baking with this - cakes, muffins, bread, etc. I would love to make some focaccia bread for the savory and some peanut butter cookies for the sweet! I'd bake up some oatmeal cookies! I love using almond and coconut flour. I would make my cheesecake that everyone loves. That would make my son happy. I will make a big cake for my kids birthday! Those muffins look amazing and so does that mixer! I would make all kinds of cookie dough. I would make banana chocolate chip cupcakes for the grandkids. I'd make blueberry cranberry muffins, my fave! I would make some delicious chocolate chip cookies! I would make batter for a caramel cheesecake. O a hand mixer! I totally make some classic mashed potatoes! I would make my kids blueberry muffins..yummy. I'd start out simple and make some pizza dough. 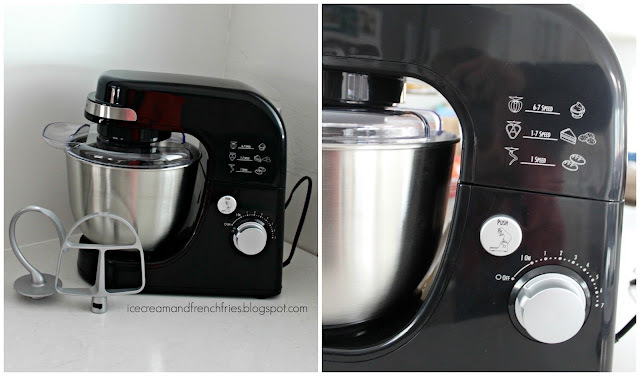 I love blueberry muffins, and stand mixers are invaluable in the kitchen! Thanks for a fun giveaway! I've been in the mood to make my mother's Red Velvet cake recipe, so that's what I'd make with a new mixer. I would make my favorite, pineapple upside down cake and chocolate brownies for my grandkids. I would make a double strawberry cake. I would make so many things! I think first would be cupcakes though! I would love to make some chocolate gluten free bread and muffins. A birthday cake for my husband! I would first make a dark chocolate cheesecake. One thing I use my mixer the most is to make my famous pecan pie or I would use it to make some cookies. I'd make a big batch of chocolate chip cookies to surprise my husband. I'd make some chase cookies! It's a family recipe mollases cookies, like ginger snaps, but chewy. I would make whipped cream!! I would make homemade brownies. I would make everything from brownies to bread. Thank you so much for the giveaway! I would make French pastries. I'm dying to whip up a big batch of meringue- Something I simply can't do by hand. I'd make a batch of chocolate chip oatmeal peanut butter cookies. I've been craving lemon poppyseed muffins, so I would start with them. I would make a chocolate cake with buttercream frosting. I just made a cheese cake and it broke my hand mixer, so I had to mix it by hand. If I get this I'll make another cheese cake. Gluten free brownies I think first! I used to do white chocolate and raspberry brownies that were gorgeous. Those muffins look delicious! That's what I would make! Thanks! They tasted pretty darn good too. I have recently started the paleo diet and I would love to make some new paleo friendly recipes with this! One of my favorite things to make is home made red velvet cake, so I would definitely be making that! Time to whip up some yummy chocolate chip cookies! !